By now, everyone probably knows that the big Shyamalanian twist in M. Night Shyamalan’s last movie, Split, was that the whole thing was a covert sequel to the auteur’s 2000 anti-superhero movie Unbreakable. Now, with Glass, viewers are getting the overt sequel. 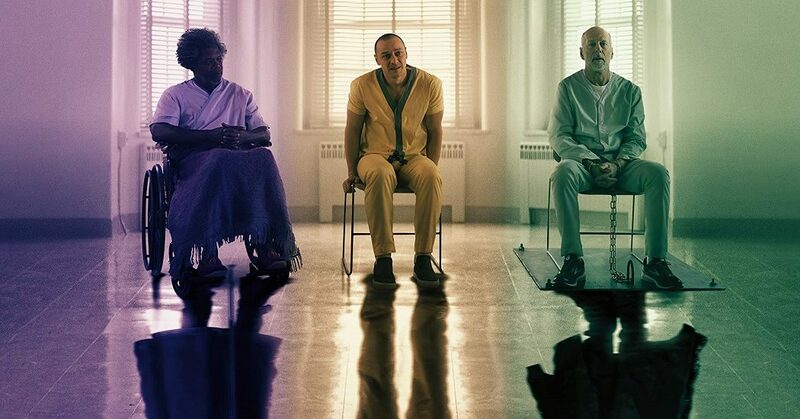 Glass sees Kevin Wendell Crumb and his 24ish different personalities, collectively known as The Horde (James McAvoy reprising his role(s) from Split), up to his old tricks of abducting girls and holding them captive until his most ferocious personality, an inner demon called The Beast, shows up and murders them. Meanwhile, David Dunn, by now known to the public as The Overseer (Bruce Willis, also reprising his older role from Unbreakable), patrols the neighborhood seeking vigilante justice on criminals, but does it all with the ultimate intention of finding Kevin and The Horde. Bruce Willis in ‘Glass,’ courtesy Blumhouse Productions/Universal Pictures/Walt Disney Pictures. And he does find him/them, along with his/their newest batch of captives. 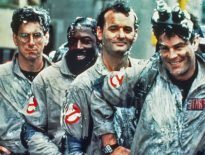 The resulting showdown lands both David and Kevin in a maximum-security mental hospital where they find themselves under the treatment of a psychiatrist named Dr. Ellie Staple (Sarah Paulson from Ocean’s Eight and The Post) who specializes in patients who have delusions of grandeur – mainly those who think that they are superheroes. Another of Dr. Staple’s patients at the facility is none other than Elijah Price, aka Mr. Glass (Samuel L. Jackson, again from Unbreakable), the terrorist master mind who discovered David’s powers nineteen years before. Mr. Glass has a plan to prove to the world that superheroes exist and forms an uneasy alliance with The Beast in order to execute it. Of course, David must stop it. With Glass, Shyamalan falls victim to his auteur ego. It’s a well-made movie, but it’s also an extremely indulgent one. It’s one of those roller coaster movies where the viewer is constantly changing their mind as to how they feel about it. The first act is incredible, right up until David and The Horde wind up in the asylum. At that point, the story starts to meander a bit, wandering through subplots that the audience just hopes will all connect somehow (some do, some don’t). When it gets to the final battle, everything is on point again, but the actual ending peters out fiercely. 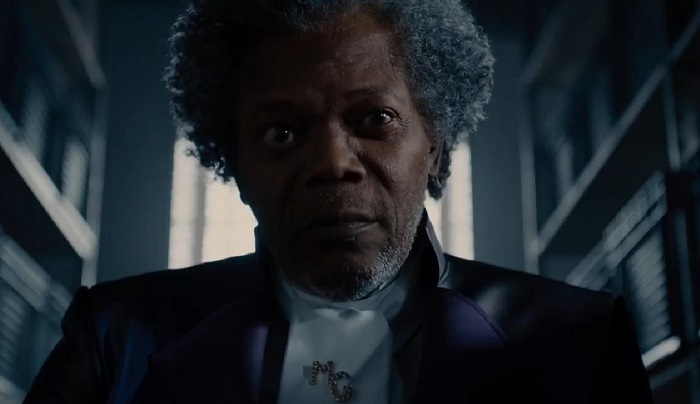 Samuel L. Jackson in ‘Glass,’ courtesy Blumhouse Productions/Universal Pictures/Walt Disney Pictures. Really, the superhero/villain plotline that involves David, Kevin, and Elijah is engaging and fun. The B-story, a convoluted and sometimes baffling series of events involving David’s son, Elijah’s mother, and, most confusingly, an apparently Stockholm syndrome-suffering former captive of Kevin (roles all reprised from the previous films by Spencer Treat Clark, Charlayne Woodard, and Anya Taylor-Joy, respectively), isn’t quite as compelling. At one point, Dr. Staple makes a throwaway comment about her three patients being “the anarchist, the brains, and the reluctant hero,” a theory that makes Glass sound like a Joseph Campbell joint. That’s the formula that Shyamalan should have followed. There’s a good, possibly even great movie somewhere in Glass, but it shouldn’t be completely up to the viewer to sift through the fluff to find it. And now, for the question that is undoubtedly on everyone’s mind – is there a Shyamalanian twist in Glass? Well, there’s nothing as jaw-dropping as what Shyamalan was able to do with The Sixth Sense or The Village, but there are a handful of cool surprises that keep the audience on its toes by changing much of what has been shown thus far. Take that however you want to take it. James McAvoy in ‘Glass,’ courtesy Blumhouse Productions/Universal Pictures/Walt Disney Pictures. The bottom line is that Glass is a very technically proficient movie, but the story is closer to the slow-burn tension of Unbreakable than it is to the sheer excitement of Split. And while that works at times, for long stretches of the movie, the audience just finds itself wishing that Shyamalan would get on with it. Just like he did with Split, James McAvoy runs away with Glass. 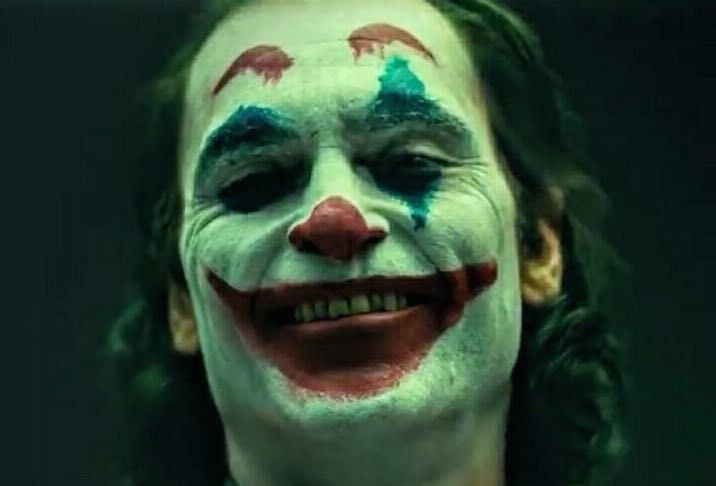 He gets to spread his wings a bit more by showing off a few additional personalities (he’s credited with playing ten characters in Glass, up from eight in Split), but even more than sheer volume of character shifts is how smoothly he does them. McAvoy effortless shifts between Kevin’s personalities, many times with the camera locked in on his face, and he makes the viewer believe every single word, every spastic twitch, every knowing smile. One second, he’s the nine-year-old Hedwig. The next, he’s the maternal Patricia. Then he becomes the trickster Barry or the creeper Dennis. For Glass, McAvoy even has one of Kevin’s newer personalities break out in fluent Spanish. The movie itself may be highs and lows, but the performance of James McAvoy steals the show. He’s nothing short of incredible. And that should come as no surprise to anyone who saw Split.